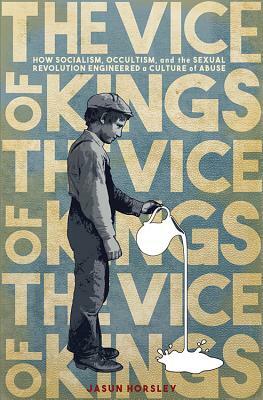 Jasun Horsley is the author of The Vice of Kings: How Socialism, Occultism and the Sexual Revolution Engineered a Culture of Abuse. He returns to the podcast for another conversation after rattling a few cages back in episode 90. But that is exactly why I asked him back. I want to rattle some cages every now and then. I think that’s necessary. And the title is quite reflective of the content of the book and the content of this conversation. We are going to chat a bit about Jasun’s family history, which has ties to the Fabian Society and their socialist ideals and subsequent cultural movement, which may be the driving force behind the idea known as social engineering. We also talk about the role of occultism in this. One note, though. We had to cut this way shorter than we both probably would have liked, because Jasun’s schedule changed on the day of the interview. So a bit of a shorter show here both on Patreon and the free feed. Although there is a Patreon extension of about 22 minutes, which is where we talk a bit about the role the sexual revolution played, or plays, in this culture of abuse. Regardless, open ears, open minds and open hearts required if you choose to venture further. I mean if you ain’t comin’ correct like that - well, this is not for you. Executive Producers: Mike K., Carter Y., Mauricio G., Alyssa S., Daniel R., Kelly C., Kaleb H., Bruce H., David G., Jeremy V., Marcelo T., Christopher B., Leonidas, Timothy W., Caleb C., Nick F., Michael Q., Jamaica J., Mute Ryan, John W., Paul S., Andy E., Colleen F., Ed O., Blake S., Catalina M., Raymond G., Elegwen O., Saliyah S., Michael W.